Be part of something special. At Extend we love what we do - providing outstanding experiences and opportunities for children. Joining our passionate team, there will be many outstanding experiences and opportunities offered for you too. We believe our people make the difference and therefore we invest in them, providing you with career development that you can only get with Extend. If you're ready to take the next step in your career, you belong with the Extend Team. 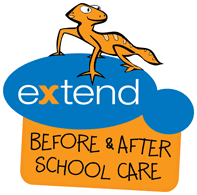 Extend is a renowned leader in the Outside of School Hours Care arena. Supporting over 100 services nationally, the people of this organisation are its biggest point of difference! Extend is the only multi-site provider which doesn’t use agency staffing solutions. The difference is significant. And it all starts here. Managing the recruitment function including onboarding, reviewing position descriptions and partnering with hiring mangers through the recruitment process. The management of two direct reports. Performance management – deliver performance management programs that drive a high-performance culture. Reporting and management of HR metrics. A continuous improvement focus, problem solving people issues. Oversee payroll, OH&S and WorkCover claims. Implementation and communication of all HR policy and procedures. Working on a variety of HR projects including continuous improvement of the people and culture department. Experience with employee relations and the ability to coach, guide and mentor stakeholders and direct reports. Resilient can-do attitude with a solution focused approach. Commercial mind-set and excellent stakeholder management. Tertiary qualifications in HR or a relevant discipline.